The philanthropic community in Delaware hosts a diverse roster of events, continually bringing life-changing and rewarding experiences to Delawareans. Stay in the loop this month and learn about the many acts of gratitude in our community, centered around giving back to those in need. Read on for information about an enjoyable event coming up this weekend in our community and leave a comment to let us know if you will be there! Join us for the Urban Bike Project‘s inaugural Crisp Classic Recreational Ride Fundraiser! This family-friendly event is the perfect autumnal day race taking place this Saturday morning at Brandywine Park. All funds raised support UBP’s programs and operations, while raising awareness of their mission and goals. Tickets are only $25 for those who pre-register and $30 for tickets purchased the day of the race. If you are unable to attend the race, you can still get involved with their cause and support the Urban Bike Project by sponsoring a UBP youth rider for $20 or attending the after party for $15. The food and drink will be provided by the beloved, Dogfish Head Brewery and Añejo Mexican Grill & Bar. The sole purpose of the Urban Bike Project is to build a support system in the Wilmington community by providing access to cycling, as a healthy, affordable and practical means of transportation and recreation. UBP has many programs set up in the community, from providing free bicycles to individuals without the financially means to purchase their own form of transportation, to teaching valuable mechanical skills in their youth programs. 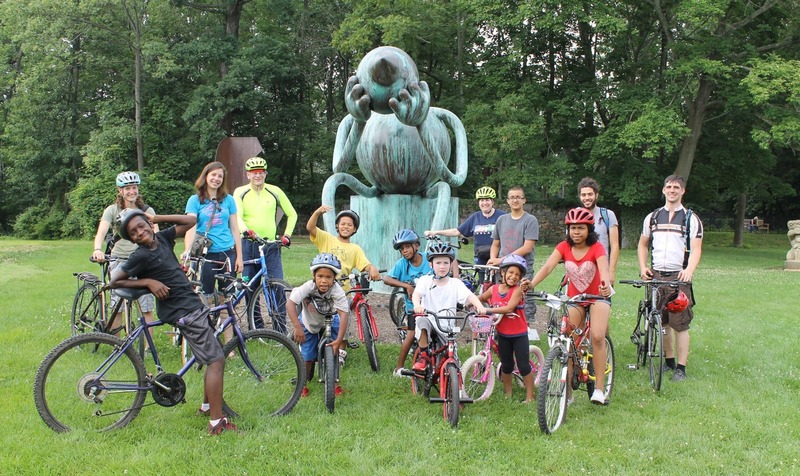 The Urban Bike Program gives back to the community in so many different ways. In an effort to thank them for their inspiring work in the community, The Kenny Family Foundation is the official sponsor and will be providing all supplies for the Bellevue Rest Stop during the race. Be sure to stop by and fuel up during the race on tasty apple cider, s’mores at the campfire, and all sorts of other autumn treats, such as lawn games and music.